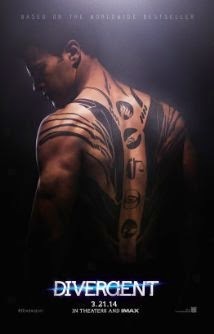 Much is being said about Young Adult books being turned into films. This is not a new formula, and turning books into movies has been the bread and butter of Hollywood for quite some time. However, film rights for YA books seem to be snatched up quicker than publication. Money matters a whole awful lot on the business side of books and film. There's an immeasurable demand for successful franchises like Harry Potter, Twilight, Divergent and The Hunger Games, and fears for those deals that don't garner as much attention or revenue like Beautiful Creatures or The Mortal Instruments. There's no formula for success. No one knows what will be the Next Big Thing. However, if asking little old me, I'd say the most satisfying YA book to film has been The Perks of Being a Wallflower. It's beautifully acted, visually realised and the soundtrack is infinite. That's what I look for in a film, let alone an adaptation. There is an immeasurable demand from me for films like that. So when Rainbow Rowell tweeted yesterday that her film rights to Eleanor & Park have been sold to DreamWorks, little old me did a crotchety dance. Like, dude!!!!!!!!!!!!!!!!!!!!!!!!!!!!!!!!!!!!!!!!!!! I could not be happier. I can't think of a book that doesn't represent adolescence any better. And then I felt a little twinge of panic. Eleanor & Park doesn't have a director yet. Or a cast. Who would be cast as Eleanor...who will be cast as Park? Never has a book to film adaptation had such a challenge. There aren't any famous actors I can think of for either part. They're going to have to be unknowns--risky for a film company--or the characters are going to have to change in their appearance to fit a famous actor. It makes me think that perhaps some books shouldn't be made into movies at all. I think Rainbow realizes these challenges and has thought them over more obsessively than her readers, no doubt. Not that she has any choice about anything!! But she's having a go at writing the screenplay. And happy for whoever the director will be and actors cast to represent the spirit of the book, if not perfectly fitting the physicality of the characters she's created. I think there will be more answers for me after The Fault in our Stars comes out. Someone clever discovered that John Green is the Next Sure Thing and even Paper Towns has recently been green-lighted with a director and cast. That's big news. Whether you love his books or not, the guy is very good at what he does. And he's genuine about it. He has this way of making you feel like life is just an inside joke. That's not something to be hyped, but something to smile knowingly to yourself about. And I think it's probably a better formula for the medium of books. What makes a successful book adaptation for you? 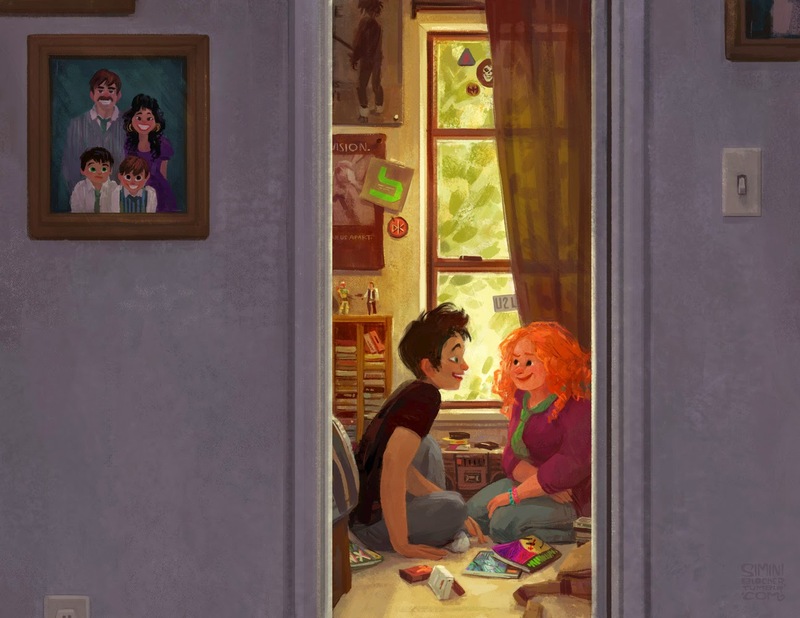 And who would you cast as Eleanor & Park? I agree about Perks- it's one of the BEST adaptations. 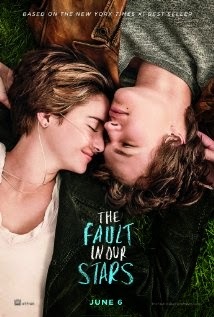 It looks like TFIOS is going to be great, too, and I'm keeping my fingers crossed for Eleanor & Park. I have no idea who I would cast, though.